At SW Apartments, our goal is to provide you with amenities that rival the high-end resorts that make our city famous. As a resident of our 1, 2 & 3 bedroom apartments for rent in Southwest Las Vegas, our first-rate amenities are yours to explore and enjoy. Escape the Nevada heat at our sparkling outdoor swimming pool. With a resort-inspired pool area finished with a relaxing spa and shaded cabanas, you can live the life of luxury. When you want to work up a sweat, check out the 24-hour fitness center complete with water bottle and towel service as well as complimentary virtual personal training. At SW Apartments, we can’t wait to welcome you and your pets to your new home. 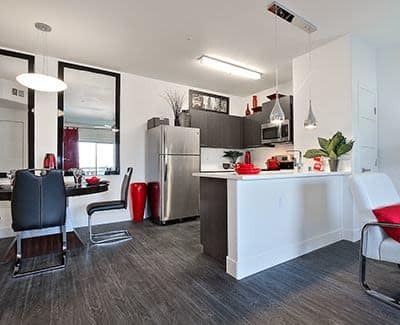 Our pet-friendly apartments for rent in Southwest Las Vegas, NV, offer spacious interiors so you and your pet have the space you need to live well and rest easy. As an added bonus, our community offers an array of amenities for the pet-lovers in our community. Stop by the community dog park to let your pup work her muscles without leaving the grounds. If she gets dirty, you can always stop by the pet wash station for a quick bath and easy cleanup. 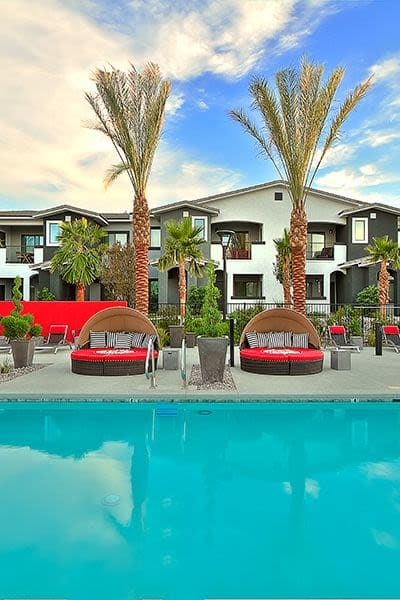 For more information about our amenities or to schedule your tour of our pet-friendly Las Vegas, NV, apartments for rent, call SW Apartments today.